Update 5. Traffic appears to be clearing both east and westbound following earlier incidents. Update 4.  A second incident is adding to the traffic problems on the M56 this morning. Highways England have said one lane is closed eastbound between junction 11 and 12 while the firefighters deal with an incident. 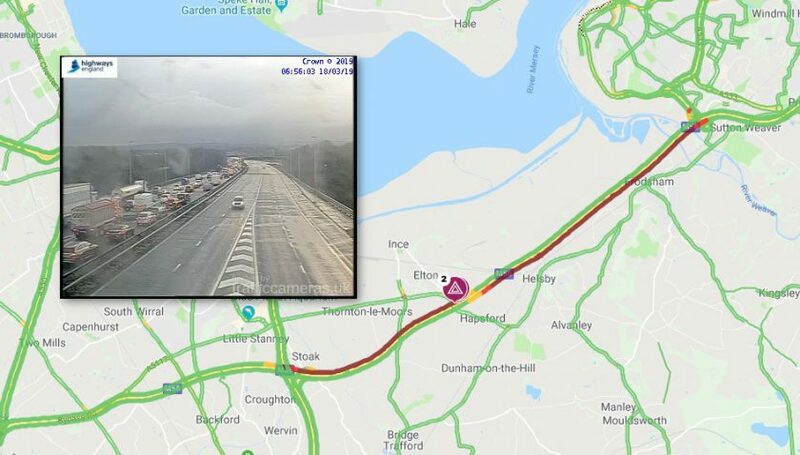 “The M56 westbound between junctions J11 (Runcorn) and J14 (Ellesmere Port) has long delays of at least 45 minutes this morning due to an earlier collision incident at J14. The carriageway was blocked for some time to clear the vehicles involved. 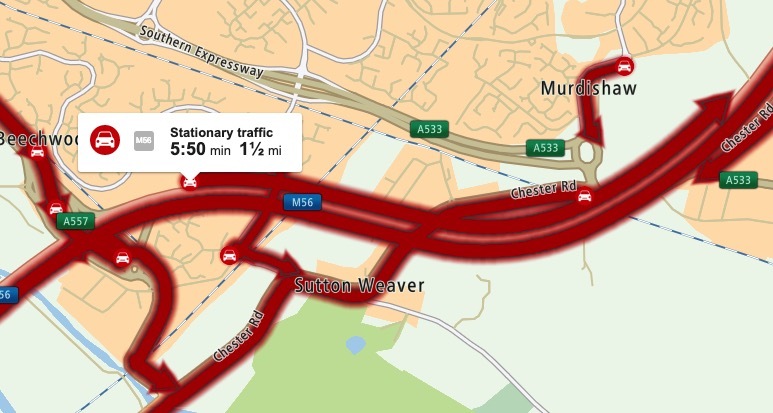 All lanes re-opened at 07:10 this morning and the long delays are affecting traffic heading towards the M53, Chester and North Wales. Update 1. Reports all lanes have been stopped and stationary traffic on M56 Westbound at J14 A5117 (Hapsford) due to a multi-vehicle collision. 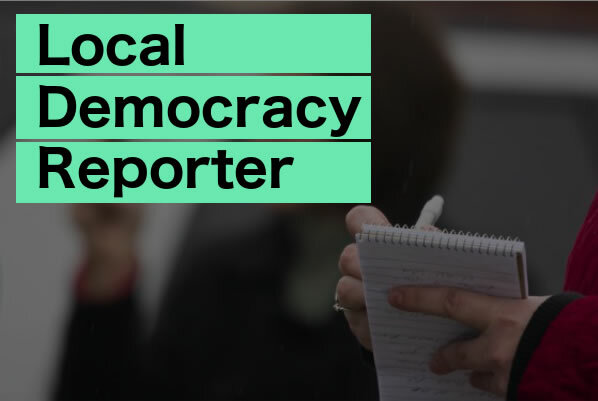 Police have said up to five vehicles are involved. 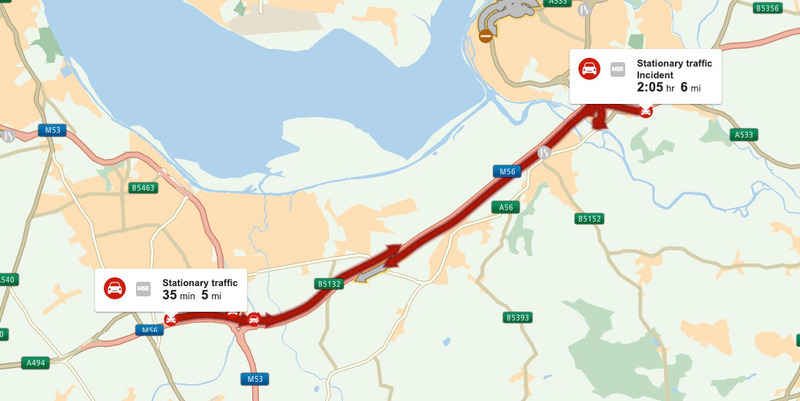 Traffic is queuing from Runcorn -Junction 12 for around six miles heading into Wales and five miles heading from Deeside. #M56 westbound J12 – J14, long delays emerging of at least 1 hour from #Runcorn .. Be aware if you’re heading towards #M53 #Wales #Chester.